Nature's Grubs® | Chin Ridge Seeds, Ltd. 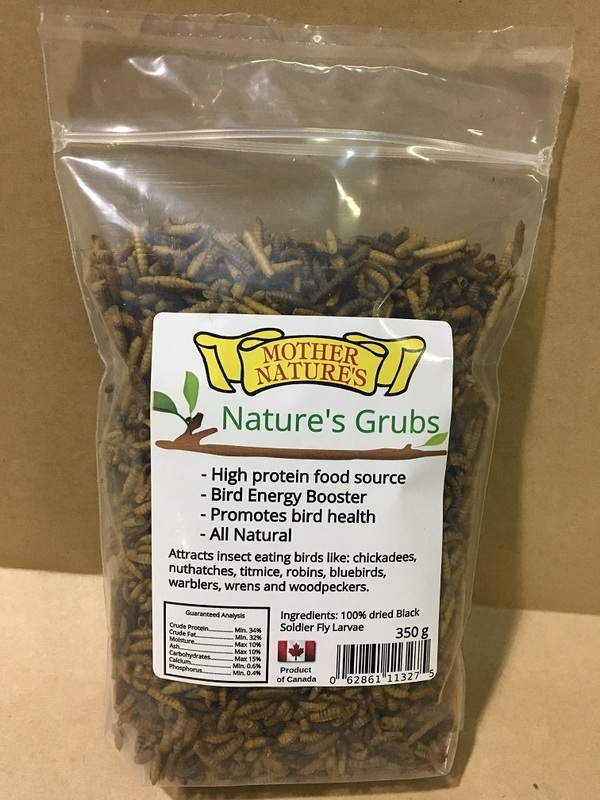 Nature's Grubs® is a dried insect larvae product that provides an excellent high protein food source that will boost bird energy during cold winter days or during the nesting season. This is an earth-friendly “made in Canada” product produced by feeding larvae recycled food products as feed input. Nature’s Grubs® are all natural and have no preservatives, stabilizers or other additives. 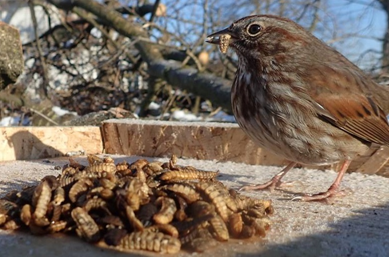 Chickadees, Nuthatches, robins, Titmice, Bluebirds, Wrens, and Woodpeckers.